This summer, with its long stretches of very, very hot weather was trying, to say the least. And now, we’re just about out of its clutches. Many of you are probably already turning your attention toward your home heating systems (as well you should, and come back next time for a great heating tip!). That does not mean that you can just put your air conditioner out of your mind completely, though. Especially if everything is not running smoothly. 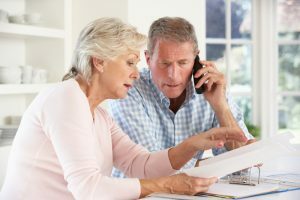 While it may seem pretty late in the game to be scheduling AC repair in Crozet, VA, we need to remind you that problems will not just go away because the system has had a few months off. Those problems will be waiting for you at the start of the next cooling season, and they may not be the types of issues that can be resolved with basic maintenance. Let’s use this posts to reflect upon some of the consequences that delaying your AC repairs will reap. 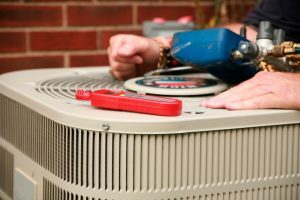 If we were really just using this blog to drum up business for ourselves, then we would actually be telling you to go ahead and service your air conditioner on your own if you are the DIY type. Of course, that is not our core purpose, here. We want to share helpful information that will allow our audience to live in the consistent comfort that they deserve. That is why we are instead going to stress, again, that you really need to work with a professional HVAC company in Charlottesville, VA.
We understand that you may be mechanically inclined. You may have a basement or shed full of quality tools that you are more than happy to break out at a moment’s notice. Unless you are a trained HVAC professional, though, those tools should not be applied to your HVAC system! It is always in your best interest to reach instead for the phone, dial our number, and get the quality HVAC services that your system demands. There are certain jobs that you may hire out which won’t require that much consideration as to who can handle it. Maybe you hire some neighborhood kids to shovel your driveway, for instance, or your buddy recommends a friend to handle some light landscaping. Different homeowners are going to have different standards of who they give work to, but there is one area where you can never take chances: the installation and/or servicing of your HVAC system. You absolutely must work with a professional HVAC contractor in Crozet, VA. There is no other way in which you can be sure that you are working with skilled professionals that you can trust. Of course, not all HVAC contractors are created equal. There is a major difference between earning your license and starting a business, for instance, and establishing yourself as a trustworthy contractor capable of living up to all of your clients’ expectations—if not exceeding them! 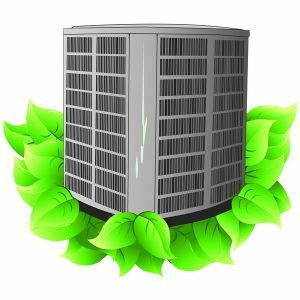 What’s Wrong with My Heat Pump? Heat pumps are a great option for homeowners interested in enjoying year-round comfort with great energy efficiency. They operate just like central air conditioners in the summer, meaning that they evaporate refrigerant in order to remove heat from the air in your home during the summer season. In the winter, this process is reversed. Refrigerant evaporates in the outdoor unit, absorbing heat before being compressed to boost its thermal energy, which is then used to heat the interior living space. Your heat pump is going to put in a lot of working hours over the course of the year. While routine maintenance can address much of the wear and tear that it will incur, it cannot make your heat pump 100% reliable. Nothing will. Eventually, you will find yourself in need of heat pump repair in Charlottesville, VA. If and when you do, be sure to dial our number in order to guarantee that your system is put back on the right track, the right way, the first time. Posted in Air Conditioning | Comments Off on What’s Wrong with My Heat Pump? We appreciate our clients very much. We’ve made it our mission over the years to guarantee their 100% satisfaction with the work that we do. That being said, we don’t expect them to be ringing up our phones just to check in, tell us about their days, and invite us over for supper. Ours is a professional relationship, and those are not the types of scenarios that we expect calls from our clients for. So when should you reach out to your HVAC contractor in Palmyra, VA? Well, we’re going to explore two situations today in which you should always get in touch with your HVAC contractor (and we certainly hope that’s us!). Not everything needs to be an emergency, and the fact is that there is a time when you should be dialing our number even when nothing is wrong? Confused? Well, just read on, and you’ll see the many benefits that you stand to enjoy by giving your trusted HVAC professionals on our staff a call from time to time. There are a number of problems with your air conditioning system that could understandably slip under your radar. Many are not immediately obvious, and their symptoms may be quite hard to detect at first. When it comes to an AC that is blowing warm air, however, the problem is fairly obvious. Or, rather, that particular symptom is obvious. For, you see, there are actually a number of potential causes of this problem. That tends to be the case with AC issues, which is why a professional diagnosis is so important. If you notice that your air conditioning in Charlottesville, VA is quite lackluster, do not hesitate to reach out to a member of our team. 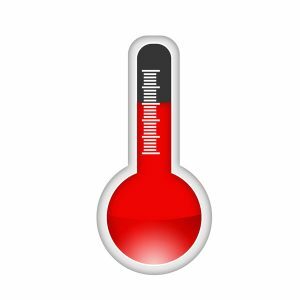 The longer that you hold off on doing so, the more likely it becomes that your air conditioner will suffer damages due to your inaction. Plus, even if the system is up and running, there is no way that you’re going to be getting the level of comfort that you deserve if the air that it is pumping out is too warm! Posted in Air Conditioning | Comments Off on Why Is My AC Blowing Warm Air? 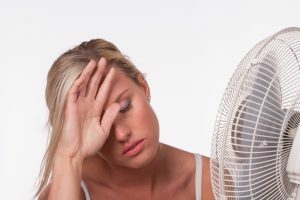 Investing in a brand new air conditioning system is, for most homeowners, a pretty major expense. As is the case with any investment that you make, you want to be sure that you are going to get the best return possible on the investment made in your new home cooling system. That is why you should take the time to guarantee that your AC installation in Charlottesville, VA is a total success. How can you do that? Just read on! We’ve put together today’s post to help those homeowners considering a new air conditioner make the best of it. If you’re looking into your options right now, then your head may be spinning a bit. Do not rush into this decision just to get it done and out of the way. It is far too important for that. With these tips in mind, you’ll be able to make the different decisions surrounding your AC replacement confidently. Some homeowners seem to think that the fact that their air conditioners are starting up and producing some cold air means that they’re working well enough. Well, our team thinks that you deserve more than “well enough”. You deserve the best performance that your air conditioner can possibly provide, and we’re here to help you get it! The fact is that no AC is going to function at peak performance levels unless it is kept in peak working condition. The best way in which to keep your system working with such high-performance quality is to schedule routine, annual maintenance for your system. 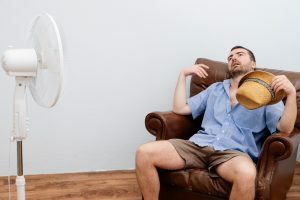 Your air conditioner puts in a lot of work over the course of the summer season, and some wear and tear is not just to be expected: it’s unavoidable. 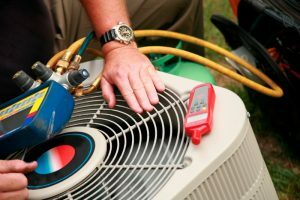 While routine maintenance will definitely help to protect your system and its overall performance, however, you are still going to require professional AC repairs in Charlottesville, VA eventually. 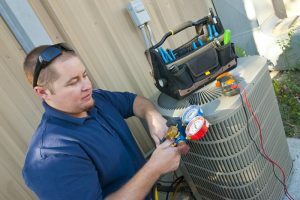 By and large, air conditioning maintenance is something that you are going to need to leave to trained, experienced professionals. There is just too much that must be done, and much of it is much too complex for the average homeowner or even a general handyman or woman to handle on his or her own. This does not mean, however, that there is nothing that you can do in an effort to keep your air conditioner functioning properly. In fact, one of the most important tasks to handle is one of the simplest: changing the air filter. When you keep a fresh air filter in your air conditioner, you really are helping it to succeed. 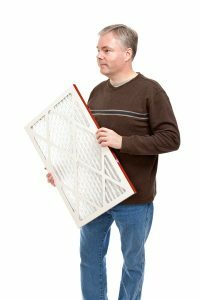 Here’s why you need to keep a fresh air filter in your AC in Charlottesville, VA.
Nobody wants to drain their budget just to keep their home comfortable. We’d love to tell you that you can cool your home for free, but even investing in a solar energy system and powering an AC that way won’t quite fit that bill. The best thing that we can do is tell you how to cool your home more efficiently for a more affordable experience—without having to replace your entire AC system in Charlottesville with a high-efficiency model! Now, you may be thinking that there is a catch here, and we understand that. Consumers are often at the mercy of contractors looking to make a few quick bucks. As our history of satisfying customers will attest to, however, that is not something that you need to worry about when you work with our team. We’re here to make sure that you are able to cool your home in an affordable manner this summer—nothing more! So read on and contact us with any questions that you may have.